A little dose of Friday randomness for you!! My kiddos LOVE the Old Navy mannequins at the front of the store. Last week during an errand run, they begged for a picture. I obliged! #2 Saturday morning, Ebby Lee, Andrea, Griffin and I hit up our local flea market. Andrea is a thrifting pro, so I was there to learn a thing or two. I can't wait to share my goodies with you!! The rest of the weekend Tab worked SO HARD to get this stump out of our front flower bed. What is with her new smiling face? haha!! We looked and looked at new plants. It's coming together!! #3 The other day at the gym I walked in and saw this. The Shull-2 and Slaughter-3 ALL sitting against the wall. My FIRST question was, "Are you ALL in timeout?"...hahaha! #4 Last day of preschool was Tuesday! Ebby Lee could NOT wait to go and see her friends one last day! Nix could have cared less! Ebby Lee's class had an ice cream social with a little award ceremony. Each kiddo received an award. Ebby Lee got the Dazzling Designer Award...for using lots of creativity in all of her work. She was so proud! #5 Love this crazy boy. He is growing up right before my eyes! He loves being held! Fun fact about Bowen...up until Wednesday, May 21st, he would ONLY on VERY rare occasions say, "Mama" when he was super fussy. That was THE ONLY TIME he'd say it. I knew he could, but he called me, "Dada" unless he was fussing and it slipped out. (longest sentence ever!! Sorry!) But on Wednesday, he woke up and since that very second has not stopped saying, "Mama!". He shouts it ALL day and I LOVE it!! It's about time! B has a small crush on Mrs. Shay (just for the record, I think the feeling is mutual!) and has been saying, "Shay" for months!! It's time he starts showing me some love!! haha! We went to the library on Wednesday. As we walked by the computer, Bowen grabbed the computer mouse and pretended like it was phone. That boy!! hahaha! 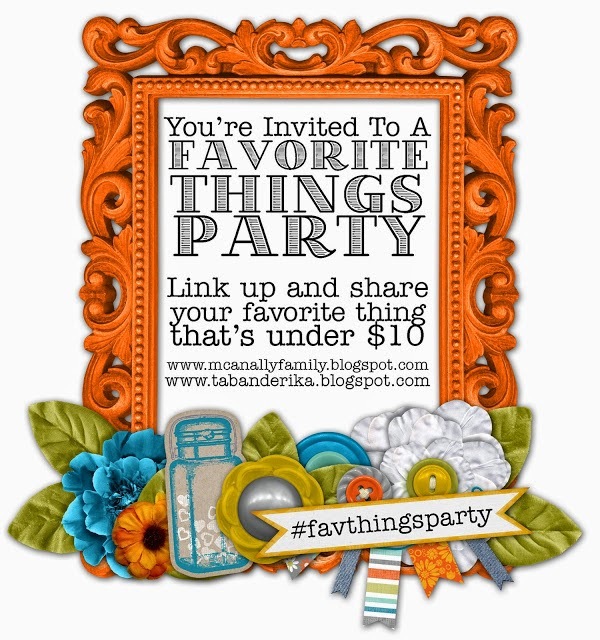 Monday, (Memorial Day), Andrea and I are having another Favorite Things Party!! This time we're partying red, white, and blue style in honor of Memorial Day. Please please please join us!! Blog your favorite thing $10 or under (maybe red, white, or blue) and link up with us!! We're looking forward to it!! We'll also be sharing our Top Three Picks from our Instagram challenge. You HAVE to help us out and vote for your favorite!! Come back, Monday, girlies!! Have a GREAT weekend!! I linked up with Darci over at The Good Life Blog, April at A.Liz Adventures, Christina at Carolina Charm, and Natasha at Hello! Happiness for 5 on Friday. Here's the thing...I love me some Bowen Slaughter. That kid melts my heart every time I see him!! I also love that our five kiddos stick together at the gym...they are all so funny/sweet/silly/goofy/sometimes whiny together :). Girl. You have got some perfectly straight and seriously white teeth. I want your teeth. That is all. So sweet! I love that he's been saying Shay :) And Ebby Lee's award is super cute! Looks like a great week! Those kiddos of yours sure are cute! And I can completely relate to the "mama" story :) Xavier did the same thing to me. It was always daddy, and then finally it was "Mommy are you?" lol! Oh my goodness your kids are adorable!!! And that's hilarious that they insisted on taking a photo with the mannequins haha. Priceless. I laughed so hard about him pretending the mouse was a phone. Too cute!